Amrap Live Music Recordings_4ZZZ_Woodford Live Broadcast Julez' live performance at Woodford Folk Festival as recorded by Brisbane's 4ZZZ. Julez' live performance at Woodford Folk Festival as recorded by Brisbane's 4ZZZ. Amrap Live Music Recordings_4ZZZ_Woodford Live Broadcast Labjacd's live performance at Woodford Folk Festival as recorded by Brisbane's 4ZZZ. Labjacd's live performance at Woodford Folk Festival as recorded by Brisbane's 4ZZZ. Widely regarded as one of Australia’s most imaginative and skillful MCs, The Tongue is getting set to unleash his most accomplished record to date ,'Alternative Energy' (Out Sept 10). This is pretty damn funky! Dr Strangeways are a 6 piece band hailing from Alice Springs, Northern Territory. Their quirky debut album 'Strange New World' was released in 2009. Racehorse is a fun, fast reggae track with rap lyrics. It encapsulates adolescent life in Alice Springs and 'NT possibilities'. Manuela Oliveira has combined her choreographer, dancer and singer/songwriter talents together to bring this upbeat hip hop/dance track which will be sure to get her listerners dancing. 4 on the Floor is Manuela Oliveira's first single release. It is a very catchy upbeat tune which will encourage the listener to get onto the dance floor. Medee Bear creates a new genre where remarkable songwriting, rap, hip-hop, electronica, jazz, pop, RnB and commercial rock fuse. His goal is to make powerful and meaningful tracks. Young Once is a fusion of rap, hip-hop and rock. It is an emotive and uplifting track with a great beat. Undertow is no stranger to the stage under the alias DTechMC, he’s rocked the mic at drum&bass/breaks events. He has toured nationally, fronting TripleJ Unearthed winning livednb/grime/electronica act Kobra Kai. 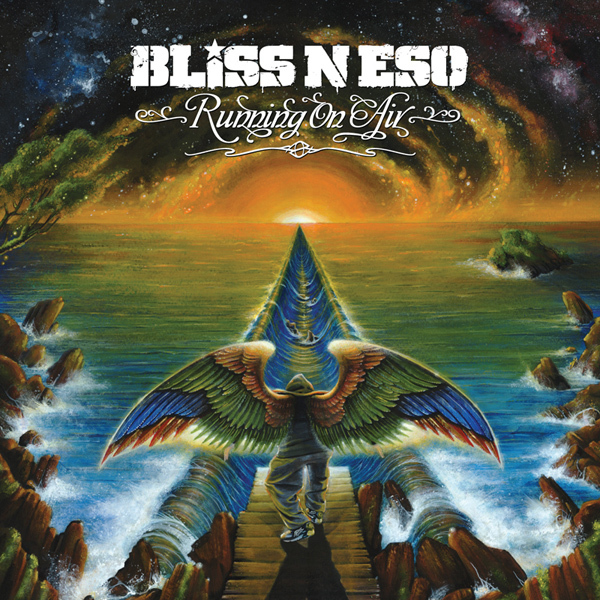 Bliss N Eso built their fan base from compelling and energetic live performances. Releasing their 4th album in July the boys have become one of Australia's biggest hip hop act. The verses reference bare-boned mischief in the backwoods – gum tree swings, pig spits and magic mushrooms. Eso says, “Down by the River is a reflection of a lot of youth’s upbringings around the country as well as Australia’s thirst to enjoy the moment and have fun in the sun”. Street Warriors (brothers Abie and Warwick Wright - aka Predator and Wok) are familiar faces on the Australian hip hop scene and well respected pioneers of Indigenous hip hop. The opening track from "Unstoppable Force" highlights why Street Warriors are among this country's most powerful hip hop outfits. Ozi Batla is a Sydney-based MC who is known for his work with acclaimed hip hop groups, The Herd and Astronomy Class. First single: upbeat throwback golden-era type track with a modern twist. The most prolific producer in this nation. Ta-ku has been the go to guy for many Mc's in the past year. Bringing back soul and feeling to hip hop. MonkeyMarc is a leading solo producer/DJ from Melbourne, Australia known as the mastermind behind political hip hop group Combat Wombat. MonkeyMarc co-founded Labrats Solar Powered Sound System. Funky Bluesy grimey vocal samples over crusty mid paced beats. JJ Peters (Deez Nuts & I Killed the Prom Queen) and Louie Knuxx (NZ rapper) come together to form Grips & Tonic. Track lifted from the album "Want Some Get Some" released in June 2009. "We make real life music and aim for your hearts." Consciousness Expanding is the most positive track Reverse Psychology have done to date. It's an experiment with double time, drum-and-bass-esque. The chorus succinctly sums up what we're all about.